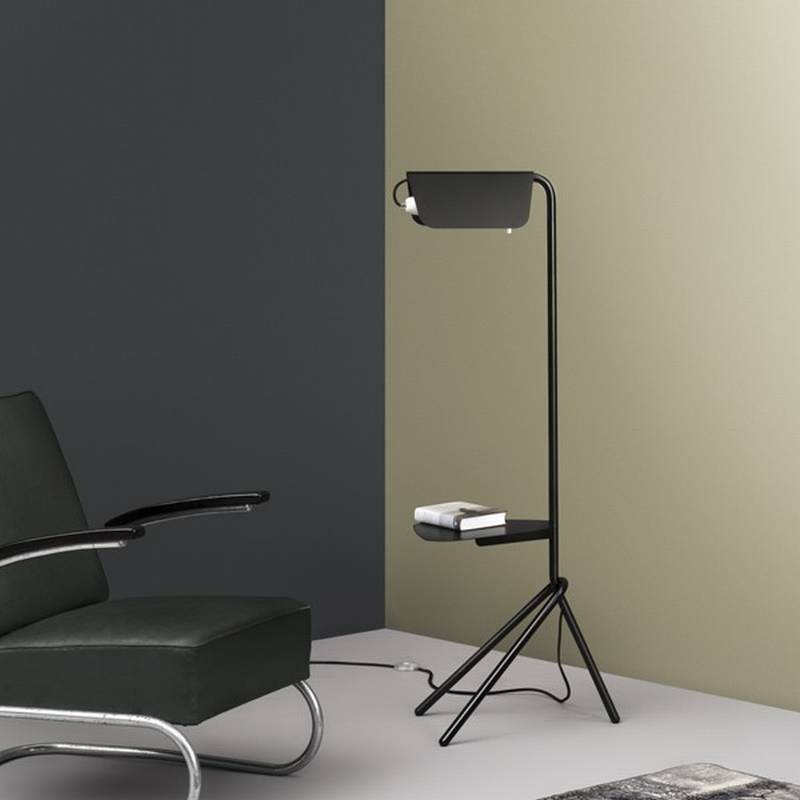 Description A stylish and sophisticated metal floor lamp, combining minimalist design with fine details. The head of the lamp revolves, changing the angle of the light. Supplied with a black cable as standard (250cm long), red and green cords can be supplied on request. The standard colours are listed below, but the light can be lacquered in any colour from the Muller RAL chart, see links below for all options. Available with or without the metal shelf. Bulb 1 x E27 (60W max).